The moment is finally upon us! 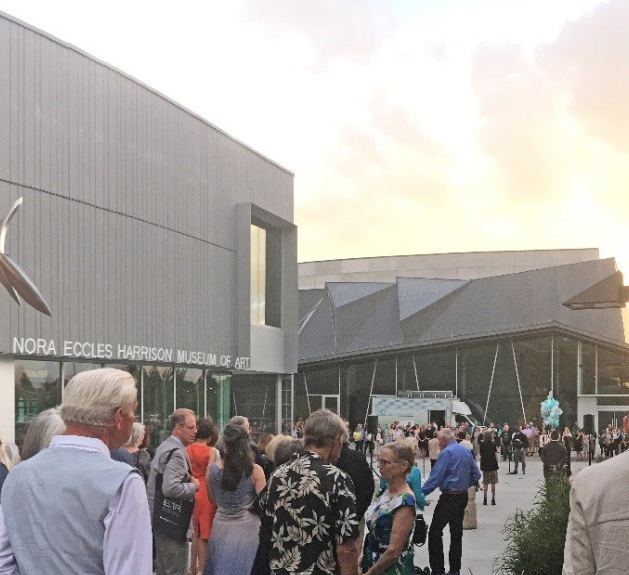 Sparano + Mooney Architecture’s re-design of the museum building for the Nora Eccles Harrison Museum of Art (NEHMA) in Logan, Utah is now open. NEHMA celebrated its grand re-opening last weekend, and our architects were honored to be in attendance. It was an incredible night filled with live music, gallery talks, fantastic artwork, great company and a tour of the museum architecture, of course! The current exhibit, Collecting on the Edge: Part 1 is on display now through December 15, and we must say – it is extraordinary. Collecting on the Edge: Part 2 will be showing next year January 17 through May 4. Collecting on the Edge features the work of 172 artists west of the Mississippi River since 1920.